In every industry there is a lot of competition; others in the same business who are doing exactly what you do, and… doing it well. So, how do you stand out? How do you convince a prospect to hire you over any other competent business in the same trade? I’ve often heard that people don’t buy “what” they buy “who”. In other words, people do business with who they believe are authentic, who they can trust, even who they personally relate to. Ever armed with smart phones, tablets and laptops, today’s buyers do a whole lot more research before purchasing than they have ever done before. If that wasn’t enough challenge for the small business owner and solopreneur, today’s savvy buyer also doesn’t want to be sold to. So how do you sell to them? How do you convince them to buy from you? 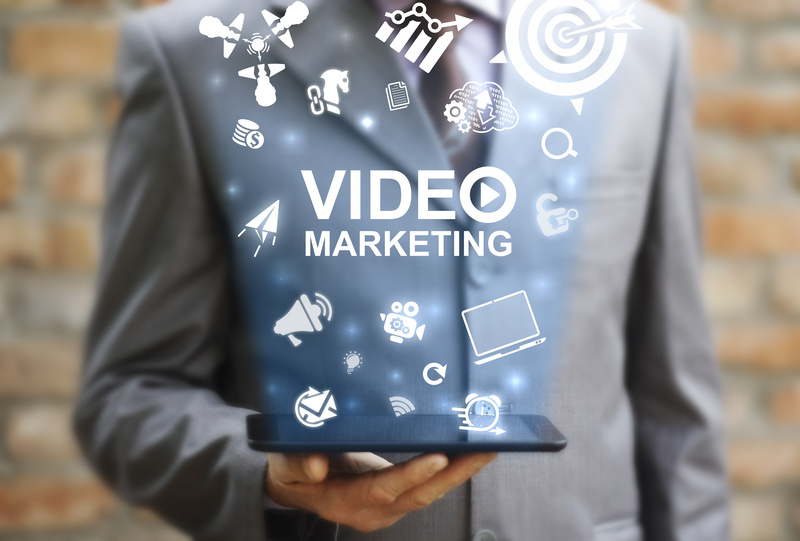 Video is the perfect way to get buyers to connect, inviting them to know your story behind your business, showing your relatable and knowledgeable side, providing vital stats about your expertise – all while not SELLING. Video appeals to us all on a deeply social level. We connect emotionally to video almost immediately while watching. The Human Race is wired to watch faces and becomes instantly drawn to any size screen that is filled with a talking head. It’s natural for us to seek emotional connections with others, even when all we want to do is hire an Accountant, a Carpet Cleaner or a Photographer. Today, nearly 85% of B2B marketers are expressing great success using online video as a lead generator for their social media marketing campaigns. But we are finding businesses using video for more than simply marketing. It’s a powerful tool being used to support staff, support products, provide service information and much more. However, lets keep this article focused on one effort for now; marketing. 1. Update all your social profiles to include video. All the major social media sites will support video as part of your profile and as part of your sponsored pages. In fact, Facebook allows your page banner to include video. Take advantage of that. It is guaranteed to keep a visitor reviewing your profile for longer than without video. And I will only say this once; if the video is amateur, keep it as well lit and well framed with the absolute best sound you can capture. Your visitors will judge YOU by the quality of your video. There’s no getting around that. 2. Tell Stories. People love it when you get personal. Talk about how you chose the field you are in. Share some of the struggles and successes you experienced on the way. Get personal. Not too personal. But tell stories about you and your brand. 3. Be helpful and informative in your videos. Give away some of your best tips and tricks. You’ll get repeat visitors for that. And broaden your horizons in this area; trade off with other related businesses. You can share your expertise in their videos while they offer the same to your videos. In other words, don’t be afraid to bring into your videos a guest or two or five. If there is something newsworthy in your industry, share it with your viewers in a video. 5. Remember your Call to Action. No matter how many videos you create or what types of videos you create, make sure to advise your viewers of what to do next. Encourage your viewers to take on further action. Otherwise, you may have missed a great lead. Video viewers need guidance. I’ve even included call to actions in the middle of some of my clients’ videos with simply buttons or boxes placed strategically in corners of the video. “Calls to action” are becoming more sophisticated now-a-days. You can even collect email addresses right inside the video window. You can place all kinds of interactive buttons inside video windows. There really is an abundance of ways in which to encourage the right action for your viewers to take, once they’ve watched your video. 6. Lastly, review your video stats. You really need to study what’s working and what’s not working. What videos are being watched to the end? Which ones are not being watched? Is one category of viewers watching one type of video more than others and vice versa? Study the stats of those Call to Action buttons: Are they being clicked or ignored? You need to research where your success is with your videos so that you can replicate that success in future videos and, hence, capture even more leads. If you take on any mix of these practices that I shared with you, I guarantee that you will find more success with your videos than you ever have before. You will find it to be the easiest way to generate new, lasting customers. I’m here to help you in every way that I can. Call me anytime even if it’s just to talk about best shooting practice or equipment to use. Maybe you want me to work with you in all or part of the production. No matter what the issue, I look forward to your call.